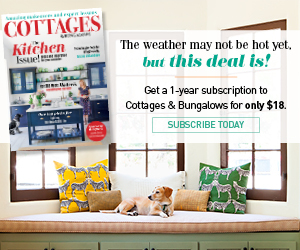 Set a table to impress--without all the fuss! 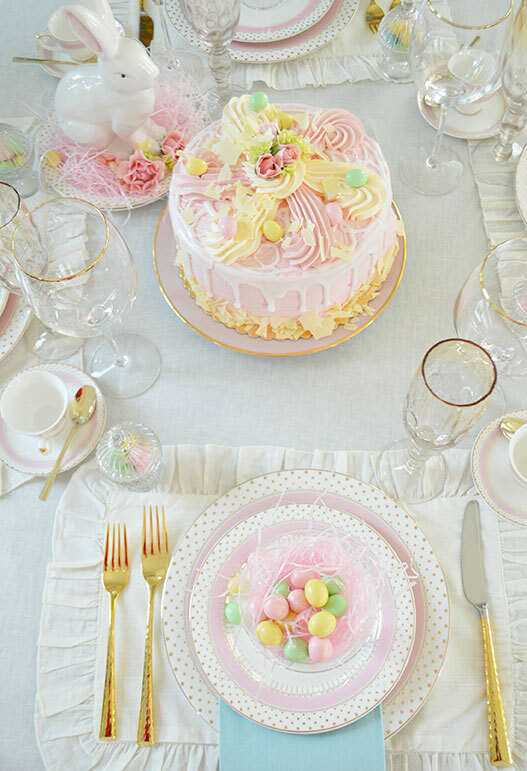 If you love the idea of hosting family and friends for Easter this year but stress over the thought of setting the table for the holiday, don’t worry. I will show you how you can transform your table into something special with a few well-selected pieces. 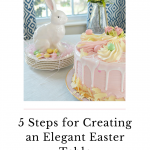 Just follow the simple steps below and in no time, you will have an impressive and elegant Easter table without too much effort. The ruffled linens are an easy way to make the table feel extra fancy without needing extra elements. The key to styling a beautiful table with minimum effort is to keep the linens simple! No need to buy themed or patterned tablecloths. Start your table with a neutral tablecloth. 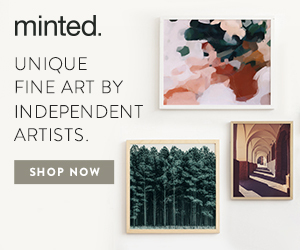 This will allow you to go with any style of dinnerware that you want – Colorful, neutral, vintage. The possibilities will be endless. The traditional Easter color palette is so easy to work with. Embrace the colors and mix and match items to create that fresh and pretty look. 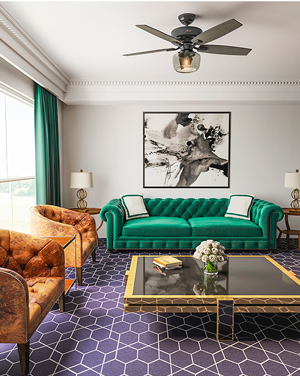 I used gold accents to instantly add an elegant touch. 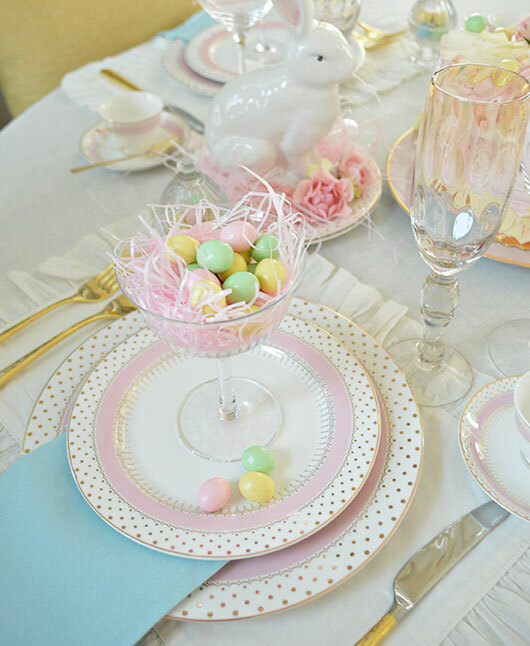 One of the key elements for creating an elegant Easter table with ease is having a color palette in mind. 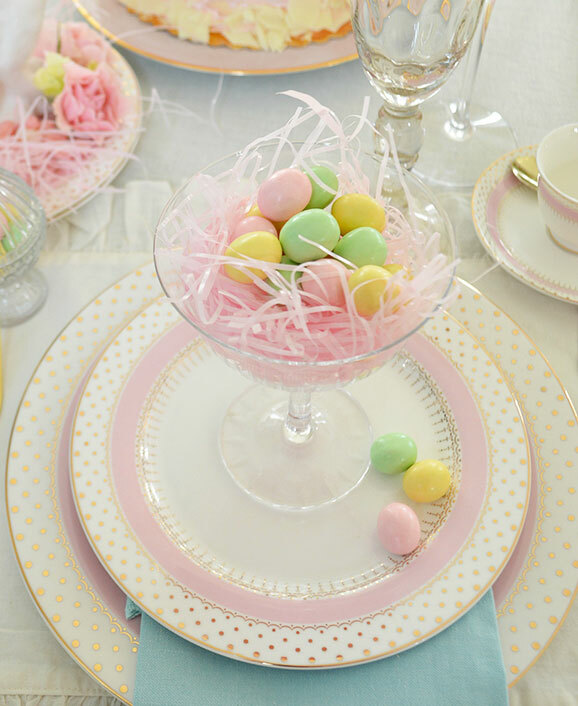 For my Easter Brunch table, I wanted to evoke a fresh and springy “feel”. Pastel colors were definitely the way to go for me. I used white and pink as my two main colors with a few pops of yellows, pinks, and greens as accents. 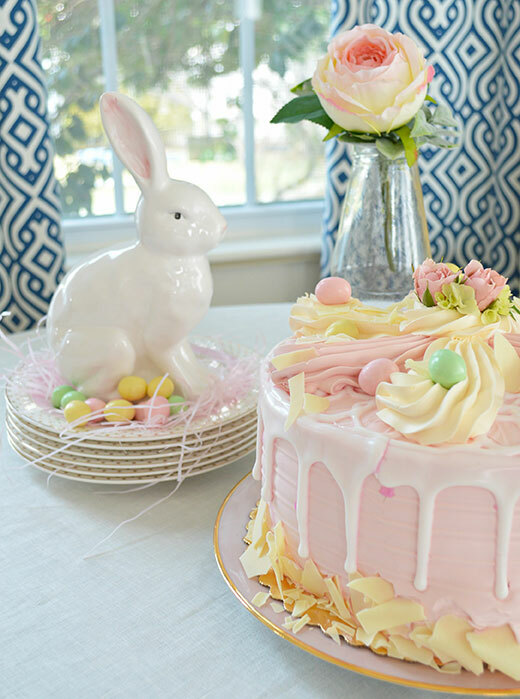 A pretty cake makes for an easy focal point for y our table. Find a store-bought one if you are short on time– you can embellish it with a few candies or even fresh flowers to make it feel more special and homemade. Layer your place setting and your table will instantly feel full and luxe. Play around with patterns and colors. For my place setting, I decided to use a dinner plate and salad plate in white and pink accented with a gold trim and pin dots. I placed the solid mint napkin under each salad plate to add contrast and texture. 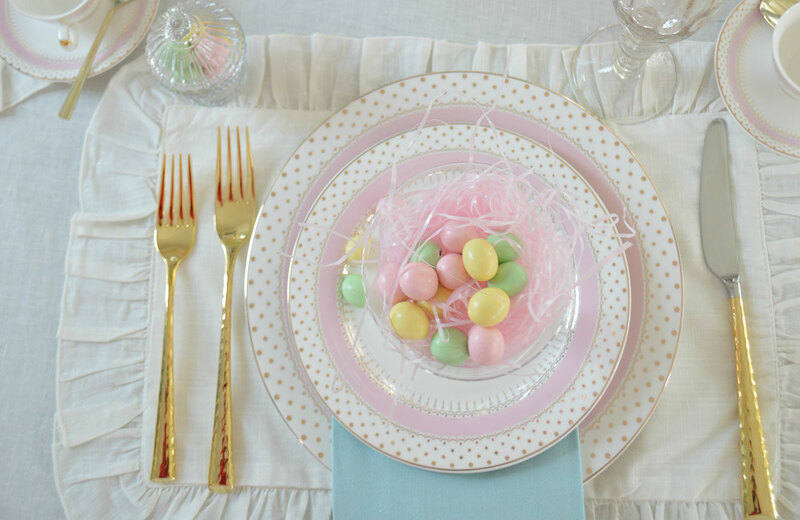 I then added a coupe glass at each place setting and filled each one with pink faux grass and malted Easter eggs. It is a beautiful way to give each guest their own sweet treat and it also gives each place setting a whimsical and festive feel. Gold flatware and gold trim glassware add a touch of sophistication and shimmer. 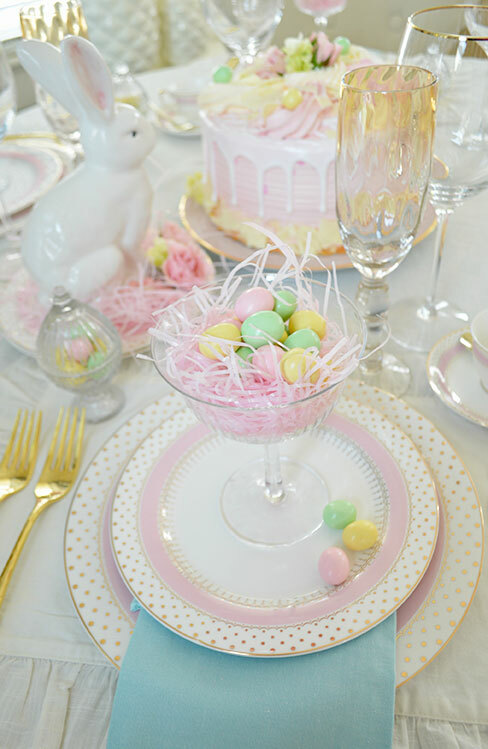 Skip the place card and fill the glass at each seat with Easter candy as a favor for each guest! Janet shares more entertaining ideas and beautiful tablescapes on her blog, Rosemary & Thyme. Looking for more of Janet’s elegant entertaining ideas? Check out this post on setting a table with Limoge.